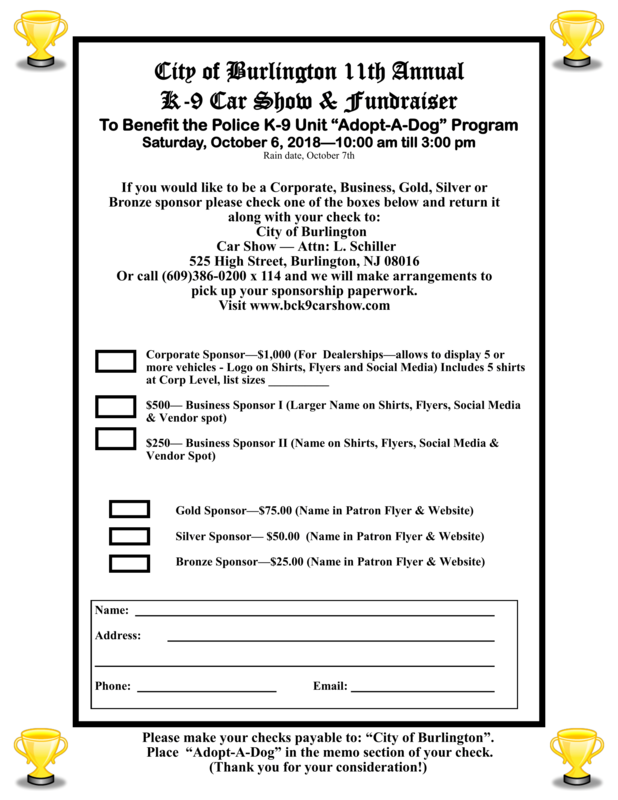 Come and park your cars and motorcycles along the river and watch the sunset, admiring the historic City of Burlington, good friends, music, and admire the classic cars and motorcycles. 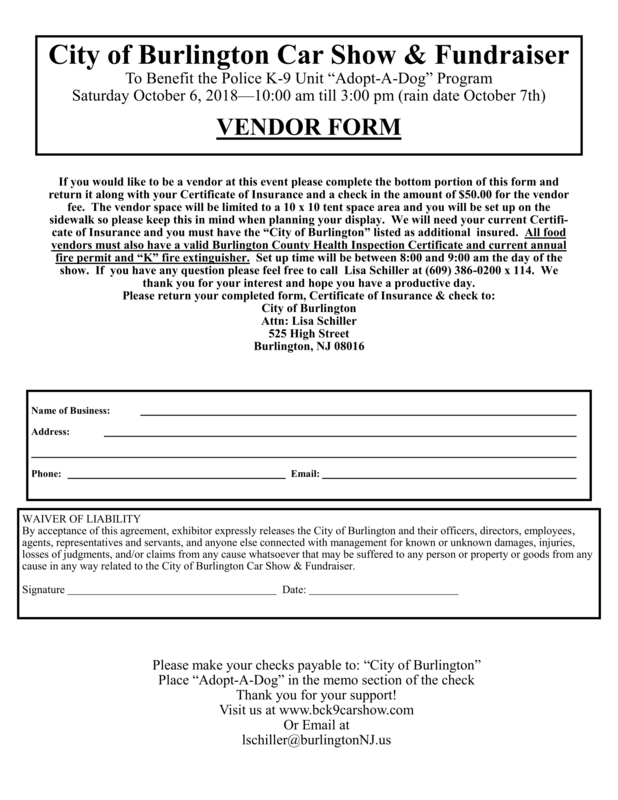 Email lschiller@burlingtonNJ.us for car show information. 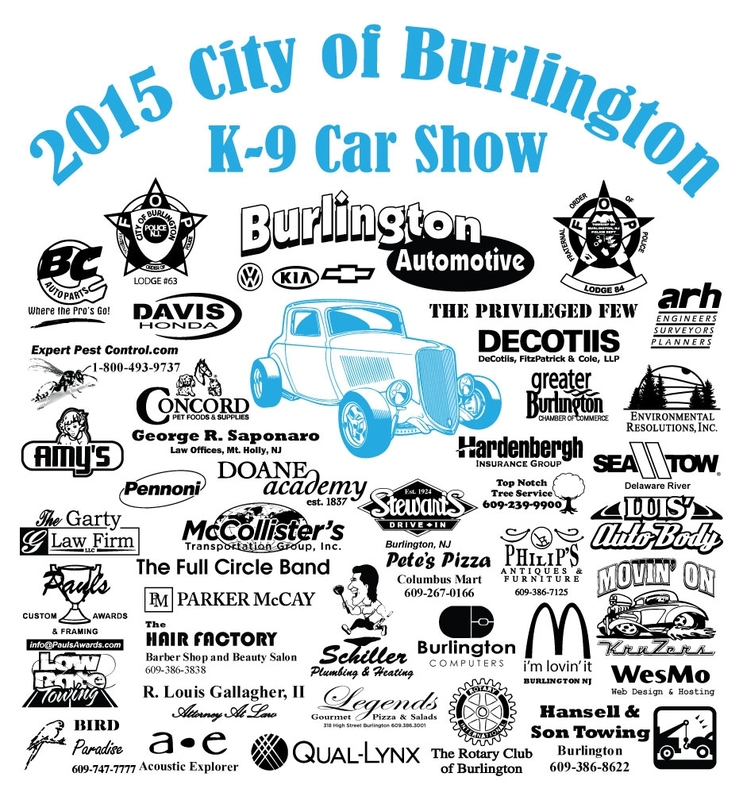 City of Burlington Police K-9 Car & Bike Show City of Burlington Police K-9 Car & Bike Show shared a photo. 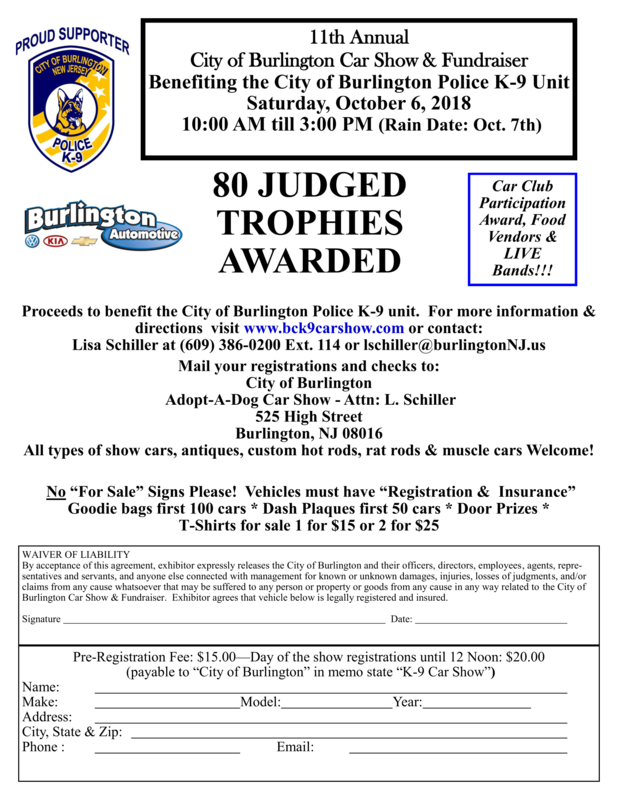 City of Burlington Police K-9 Car & Bike Show City of Burlington Police K-9 Car & Bike Show shared a post. I wanted to take this opportunity to let everyone know how proud and honored I am to work with the men and women of the Florence Township Police Department. Here is the most recent example of why I feel this way. On Saturday, a family from Florence Township had the unfortunate experience of having their vehicle stolen while parked in front of the Quick Stop. To make this experience even worse, the family had most of their Christmas gifts inside of the vehicle. Our officers were called to the Quick Stop and began investigating the situation. The officers were able to identify the suspect who stole the vehicle through witness statements and surveillance videos. Charges were filed and the suspect remains at large. During this time when most families are preparing to celebrate Christmas, this family not only had to figure out how they were going to get from place to place without a vehicle, they also had to figure out how they were going to get Christmas gifts for their family. 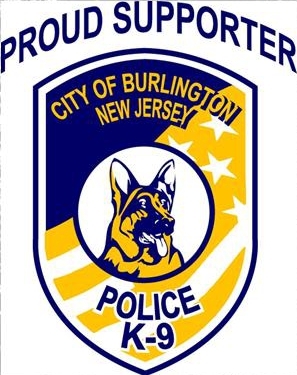 Knowing this, our officers started putting their money together over the past two days, along with a donation from the Florence Township F.O.P. Lodge 210, and began shopping for gifts. After hearing about this incident, B&H Photo also donated an I-pad to include as a gift. One of the officers told his young daughters what had happened and each of them decided to donate one of their Christmas gifts to the family. The officers then delivered the gifts tonight. Most of these officers were off duty and came in on Christmas Eve to make this family’s Christmas a special one. I feel that it is very important that you know what your community’s police officers are doing out there and to acknowledge the work of these officers. This job is a lot more then just writing tickets and arresting people. It is about taking care of our community. While that is a part of taking care of the community, so are doing things like they did tonight. Giving back to the community is not uncommon of our officers as you can see when you scroll through our Facebook page. Once again, I feel privileged to be the Chief of Police of such a great organization and community. Everyone from the command staff, to the officers, to the administrative staff put 100% into their job and it shows. Okay, I have to wrap this up or my kids will be upset with me when Santa doesn’t come to our house because he saw a light on.